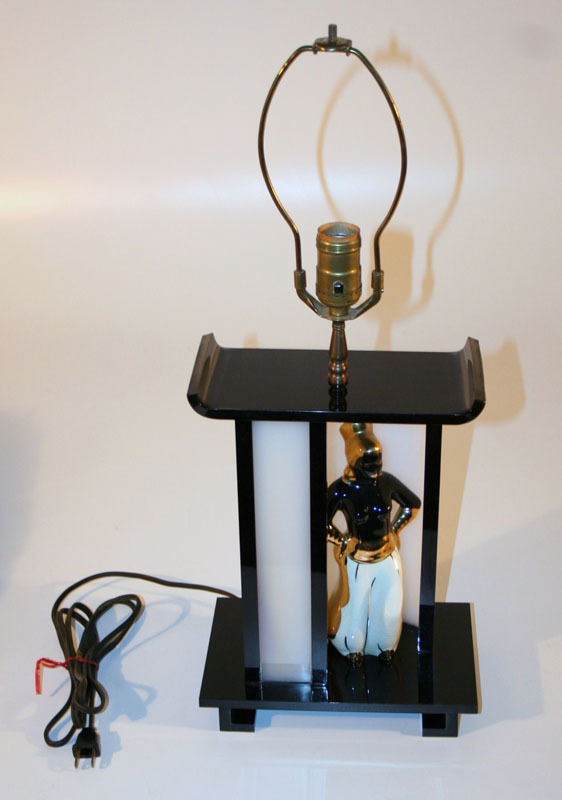 a delightful pair of Mid Century Modern Moss Lamps in classic black and white. 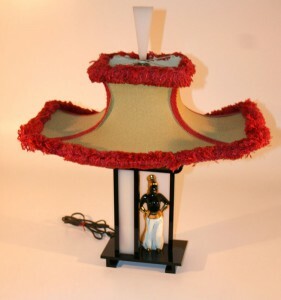 a full working Mid Century Modern Moss Lamp. a wonderful pair of Mid Century Modern Moss Lamps in classic black and white. a delightful Mid Century Modern Moss Lamp with a rare male spinner. The spinner works. a milder Mid Century Modern Moss Lamp minis the plastic moss that would have occupied the planter, of course. 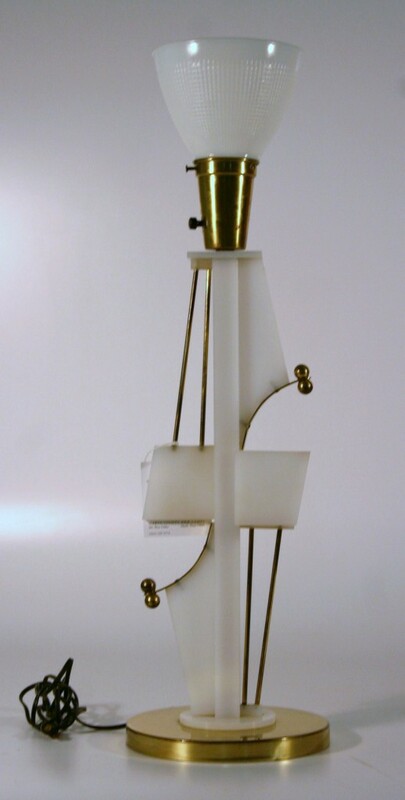 This lamp is in great condition and of a wonderfully modern design. 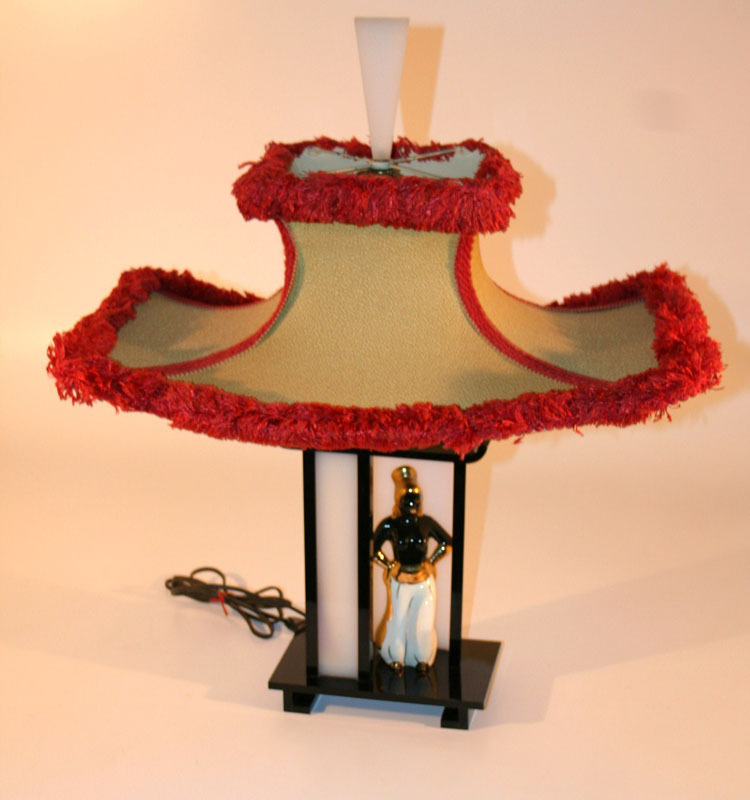 Delightful Mid Century Modern Moss Lamp. This lamp is in great shape. The thickness of the Lucite is of a quality that would one find in a Moss Lamp. But it is rare in a Moss Lamp that one can see the electrical cord which does give doubt to the authenticity of this lamp as a Moss Lamp. A Mid Century Modern Moss Lamp. 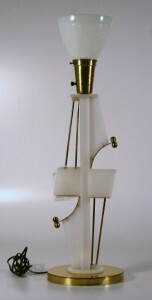 Sadly there is damage to the horizontal Lucite base that has been repaired. The damage is noticeable if looked for. Otherwise, a great lamp.